Are you looking to buy the most durable earbuds on the market, but have no idea where to begin your search? In this guide, you’ll learn about the best earbuds on the market that are built with durability in mind. We have found products across 3 different price categories so that you’re able to select the one that’s inline with your budget. Great earphone tips, noise canceling, and value for money. Great earphone tips, noise isolating, and replaceable cable. High-quality metal construction with great bass. Have you never bought durable earbuds before and are wondering what are the top buying factors? Here you will discover what you should be thinking about when deciding what to buy. It can be confusing at times distinguish between the different products. This is especially true if the product descriptions are poor quality. 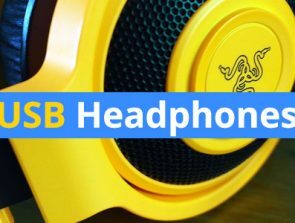 In this guide, we will share the top buying considerations which include durability, audio quality, noise cancelation, and if it is waterproof. Understanding the main aspects to look out for in a product means the buying process will be straightforward. We want you to end up with the product that best matches your needs and by reading this guide you’ll be able to achieve that. Not sure what the target market is for the most durable earbuds? We will share with you who would benefit the most from this type of product. This enables you to figure out if you are the type of buyer that has the most to gain from a product in this specific category. Earbuds are small in size and are therefore prone to damage a lot easier than other electronic products. A soft storage pouch is where they should be kept so that the earbuds are safe when not in use. One of the more common places where earbuds are broken is inside a bag. Without a soft pouch, the earbuds can get squashed without you even knowing about it. Also, the wire connection points are areas of weakness that tend to wear out. When you constantly bend the wire at the connection point to the earbud or at the power end the wire can come loose. Therefore, a design that is able to provide protection against this is highly desirable. Avoid earbuds that come with poor quality plastics as these are the type that quickly gets worn out. Aluminum is one of the sturdier materials that you should opt for, and any metal alloy is great for providing longevity. To have an indication about the durability of the product you should pay attention to the length of the warranty. A lengthy warranty shows that the manufacturer is confident about the durability of the product. The bass can be defined as the audio at the lower frequencies. Audio-based products sometimes struggle to offer good quality bass – especially when you turn the volume up. Great bass means great audio and if you like to listen to music then it is a must-have feature. For rock and club music bass is really good at improving the quality of the audio experience. The noise is more impactful and can hear the sounds as they are meant to be heard. You can get an idea of the bass quality by taking a peek at the frequency response range. A bigger range is desired as that leads to better overall audio quality. Also, some product descriptions might have specific info on the bass quality of the product. One of the biggest decisions you’ll need to make when buying earbuds is if they should be wireless. Due to improvement in Bluetooth and battery technology the prices of good quality wireless earbuds have dropped in recent years. Therefore, you do not have to pay a premium for a wireless experience that is reliable with long battery life. Earbud battery life nowadays can be found in the range of 2-10 hours, and there is typically a quick charge feature where you can get a significant amount of battery life for a short amount of charging time. On the other hand, you can buy wired earbuds that have the obvious disadvantage of requiring you to deal with a wire. However, they do not need Bluetooth connectivity to operate, which is an advantage of the wireless earbuds. Also, some argue that because of the wired connection the wired earbuds have lower levels of distortion. One of the more useful features of earbuds is the noise cancelation that can help drown out the unwanted audio of the surrounding environment. When walking down a busy street or sitting around in a noisy home, the background noise can be frustrating if it keeps interfering with your music. 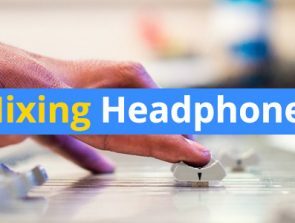 However, noise canceling technology means that the audio in the earbuds does not have to compete with that of the surrounding environment. Keep in mind that if the earbuds have noise canceling technology implemented it does not mean that they will block 100% of the ambient noise. The quality of the noise canceling implementation differs greatly from one pair of earbuds to the next. 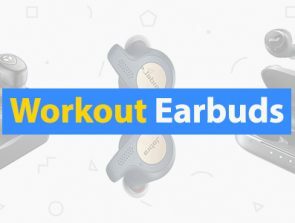 Due to how popular earbuds are for those going to the gym or jogging earbud manufacturers have plenty of options with a sweatproof design. Also if you plan to go out in the rain with the earbuds then they will be able to withstand a little water. A waterproof design adds to the durability of the product that you need to pay attention to. Are you planning to buy the earbuds for your kid? Then opting for a durable product is a smart idea because of how easily kids tend to break stuff. It’s better to get a durable pair that will last longer than a few months rather than seeking out the best audio quality pair with a design that can break readily. Also, pay attention to the warranty information as you can get free repairs when the durability of the product lets you down. When taking part in exercise earbuds are a great way to keep you focused and remove the distractions of the surrounding environment. However, poorly designed earbuds aren’t the best fit for an active person because during physical exercise they might break. A durable pair with a waterproof design is ideal for those that want earbuds for exercise to last for several years. Furthermore, consider getting a wireless pair so that you’re able to move during exercise without worrying about the restrictions of the wire. If you are working outdoors such as on a construction site or industrial factory then earbuds can home in handy. If there is a mic then you can take calls in a hands-free manner. However, for the earbuds to stand up to the rigors of the working environment the durability must be excellent. Durable earbuds don’t mean a premium price tag. In fact, manufacturing earbuds with durability does not require industry-leading technology for the most part. Upgrades in the audio quality is typically what inflates the price tag of earbuds. Therefore, you can great some reliable earbuds at under $30 and in this guide, we have found some great options. Due to the low cost of these don’t expect the audio quality to be among the best. However, they are a great option for kids or travelers that need a backup option to take. ActionPie has created a great set of earbuds that are long-lasting and durable due to the materials used to make the product. The drivers used are made from magnetic neodymium and iron boron magnets, which are strong and highly durable. 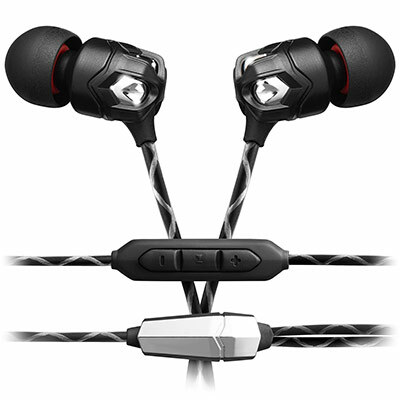 Also, because of the 6mm drivers used the earbuds output high-quality sound with great accuracy. In addition, the exclusive driver design pumps out the deepest bass and the most satisfying highs. The soft silicone earbuds provide a comfortable noise reducing fit, which eliminates as much background noise as it can. Furthermore, the tuning technology is tri-band clear, which means the unique sensing tech will suppress high-frequency glitches. Moreover, the design is made to be lightweight and easy to travel with. The built-in microphone leaves your hands-free, which makes day to day activities a lot easier while talking. In the packaging, you will receive 6 different eartips that come in a variety of sizes, an earbud case for when traveling, and the ActionPie earbuds. To conclude, the ActionPie earbuds are easy to use and highly durable due to the tough materials used. 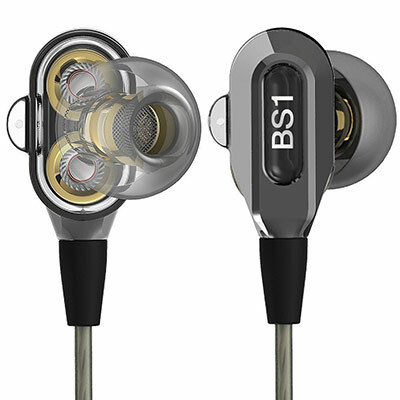 The drivers used inside of the buds are high quality and output HD stereo audio. However, because this is a budget earbud there is a minimal amount of distortion at 1%. Also, the eartips provide some noise cancelation to make the listening experience better. Another great durable budget earbud is the GOgroove Durable Heavy Duty, which only costs around $20. The 9mm driver is housed with full metal and the exterior is injected with mold protection. In addition, the cable is 3mm thick, which means the wire is significantly stronger compared to other high-end earbuds cables. 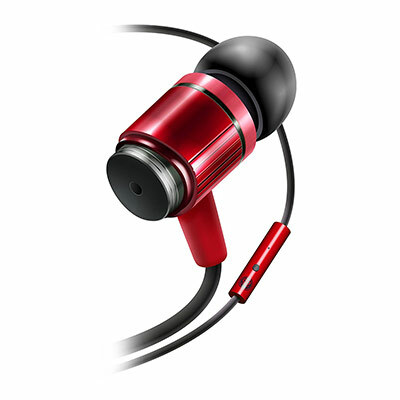 Furthermore, the in-ear design is noise isolating allowing you to hear your tunes more clearly. The combination of the 9mm stereo drivers and the three different sizes of interchangeable silicone ear gels help deliver crystal clear audio and comfort. Also, the earbuds come with a built-in mic, which supports voice assistants like Siri, Google now, and Cortana. You can also use the microphone pad to skip songs, pause music, and fast-forward tunes. GOgroove includes a carrying case with every purchase, which makes traveling with these earbuds more convenient. In addition, the earbuds come with a limited lifetime warranty. To summarize, these earbuds are highly durable and are made from high-quality materials. The cable is 3mm thick, which means it’s secure and unlikely to break. Moreover, the eartips cancel out background noise allowing you to focus on the music. Lastly, the earbuds come with a built-in microphone, which can also be used with voice control. 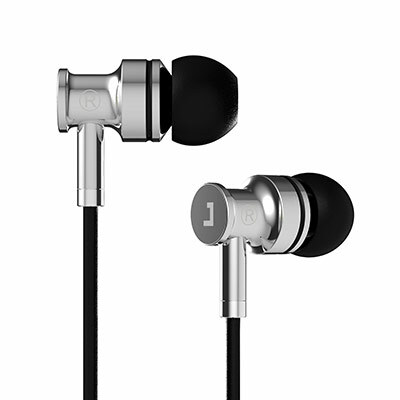 A highly durable earbud is the Jayfi JA40, because it is made from full metal housing in addition to other strong materials. The earbuds have more corrosion resistant attributes when compared to the industry average. Also, the special alloy cables can transmit HD sound with little to none interference. In addition, the earbuds use 9.0mm dynamic driver units with powerful neodymium magnets to ensure outstanding sonic accuracy and clarity. With this combination, the earbuds can produce powerful bass and clear authentic sounds. Furthermore, the gold plated 3.5mm earbud jack helps provide clear sounds with a frequency range of 20 Hz to 20k Hz. 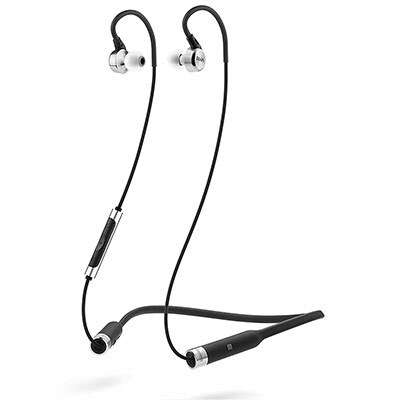 Moreover, the earbuds come with a built-in microphone, which you can use to take phone calls while on the go. Also, if any problems were to occur with the earbuds then you can use the one year warranty Jayfi provides you with. To conclude, the Jayfi JA40 Earbuds are great for listening to beats with high bass, because of the drivers used inside this model. In addition, the product is highly durable due to the metal housing used. However, if they were to break then you have a one year warranty, which Jayfi provide upon purchasing this product. Are you looking to make a big investment and purchase durable earbuds that deliver exceptional audio? Then the under $200 category is where you should be looking at. Here you will discover some great products that can last for many years before showing signs of wear and tear. Additionally, the range of features found here is more extensive than in the budget category. This includes the quality of the sound isolation and the accuracy of the bass. Another excellent durable earbud is the Shure SE215, which comes with a detachable cable for easy replacement. In addition, the earbuds come with an original Kevlar reinforced cable that has a 3.5mm jack. Also, the 3.5mm jack is gold plated and has a lock-snap mechanism allowing 360 degree rotation for convenience. Moreover, the Shure SE215 is noise isolating with a noise reduction of 37 dB, thus you can zone out from the world around you and dive into your tunes. However, to achieve full noise reduction you must wear the earbuds correctly, which is easy to do as Shure provide you with three different eartip sizes (S,M,L). Also, the earbuds are lightweight making them great for traveling, because they won’t put any strain on your ears after long periods of time. The cable also has an over the ear configuration, which keeps the wires out of the way whilst wearing them. The fit kit includes sound isolating sleeves that are comfortable to wear and look stylish. 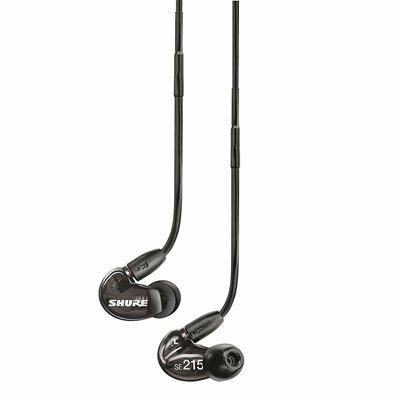 To conclude, the Shure SE215 Sound Isolating Earbuds are great for all types of beats, because of the noise reduction. The eartips fit in perfectly and come in various sizes, which promotes a perfect fit. In addition, the earbuds are lightweight, thus not putting strain on your ears after wearing for a long time. The RHA MA750 wireless earbuds use Bluetooth technology with aptX and AAC to deliver high-quality stereo audio. Equipped with an NFC pairing chip the wireless earbuds connect effortlessly and quickly to your device. Also, you can listen to beats all day long due to the battery life being a whopping 12 hours, which is 30% more than the industry average. Furthermore, the durable stainless steel housings are magnetized to connect around your neck when not in use, which makes them a lot harder to lose. Also, they are great for listing outdoors or during sports, because they have a splash and sweatproof rating of IPX4. The cable is flexible and lightweight only weighing just under 41g and fits around the neck perfectly. In addition, you can control any device stored in your pocket or bag using the three button pad. Plus, you can take calls on the go because the pad has a built-in microphone attachment. 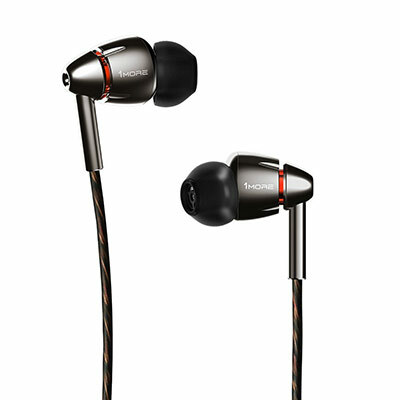 The drivers used in the earbuds are handmade and deliver outstanding beats since they have been tuned by professionals. To summarize, these earbuds are great for the outdoors because they are water and sweat resistant. Also, the flexible strong cable is made from high-quality materials, thus proving a great musical experience. In addition, the earbuds have a built-in microphone, which you can use to take calls while on the move. Made from zinc alloy metal housing the V-MODA Zn Modern Audiophile Earbuds are highly durable and long lasting. The patented active flex sport ear hooks provide the best stability and fit no matter what activity you are doing. However, when traveling lightly you can remove the earhooks and put them in the carry pouch V-MODA provide you with. Furthermore, the newly developed 8mm dynamic driver boosts tonal accuracy with extremely low distortion. Also, the earbuds have a built-in three button remote and mic, which can be used for taking calls, skipping beats, and pausing music. However, unlike many other earbuds the V-MODA Zn Modern Audiophile allows you to use the microphone to active voice control apps such as Siri. Moreover, the tangle free Diamonback cable is extremely stylish and up to 20x more durable than copper cables. In the box, you will receive 8 pairs of BLISS 3.0 eartips in XS, S, preinstalled M, and L sizes, which means the earbuds are guaranteed to fit. In addition to personalized eartips you will also get 1 pair of ActiveFlexearhooks, which ensure a secure and tight fit. In conclusion, the V-MODA Zn Modern Audiophile Earbuds is one of the most durable earbuds in stores today. The Diamondback wire is 20 times more durable than the industry standard and is 100% tangle free. Also, the built-in microphone can be used to activate voice control programs such as Siri, Google now, and Cortana. For industry-leading durable earbuds that have some of the best features available, the under $300 category is where you should be looking. The combination of the audio quality, noise isolation, and comfortable fit is excellent. However, keep in mind that these earbuds are among the most expensive in the marketplace. There are cheaper alternatives that for some buyers will provide just as much value as the product here. 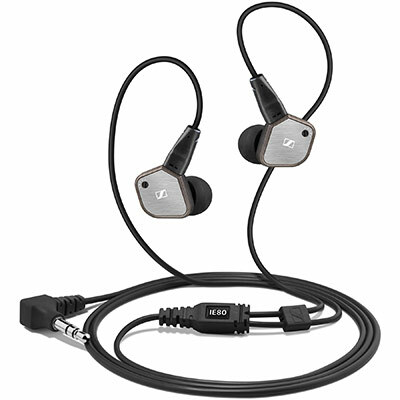 An excellent pair of durable earbuds is the Sennheiser IE80. The special neodymium magnets are made from high-quality metals and are therefore long lasting. In addition, the drivers produce remarkable accurate sounds and deep clear bass. However, if you think the bass is too high for you then you can turn it down to your liking – the same goes for the mids and highs. Moreover, the earbuds are noise canceling blocking out distracting background noise so you can focus on the music. The Sennheiser IE80 is made from extremely rugged housing with a tough replaceable cable. This means you can replace the wire for a longer or shorter version. Furthermore, the sleek ergonomic design makes the earbuds feel secure and comfortable when you wearing them – also the earbuds come with optional earhooks. When wearing the earhooks the earbuds become even more secure, which allow you to do intense outdoor activities without the fear of them falling off. In conclusion, the Sennheiser IE80 is one of the best earbuds on the market when it comes to durability. First of all the cable is 100% replaceable, thus you can switch between long and short wires depending on what you need. Also, the drivers produce remarkable sounds with clear accurate bass, which you can also customize to your preferences. Not only does the 1MORE Quad Driver Earbud produce HD stereo audio, but also crispy bass and low cut highs. The earbud is made out of high quality materials such as compressed carbon, which is extremely durable. The four driver system is made out of a diamond-like dynamic driver and three balanced armature drivers. Together they output accurate sounds with zero to no interference. The ergonomic design is made out of streamlined aluminum, which is light and durable. In addition, the tips provided are exceptionally comfortable and noise isolating, thus letting you immerse yourself in the world of music. Also, the earbuds have been tuned to perfection, because a Grammy-winning sound engineer helped create the earbuds. In addition, the 1MORE Quad Driver comes with a microphone, which you can use to take control of your smartphone without having to touch it. Compatible with both Apple and Android devices you can switch beats, play and pause music. Moreover, in the packaging you will receive a traveling case and 9 eartip sizes. To conclude, the 1MORE Quad Driver Earbuds are exceptional for providing high-quality beats while also being extremely durable. The 4 drivers used output HD stereo audio and the eartips provide a noise isolating experience. Furthermore, the earbuds have been tuned by a Grammy award-winning sound engineer Luca Bignardi. I bought a year and a half ago and, since then, use them every day. Yesterday, I accidentally washed them in the washing machine and they survived (iPod didn’t…) and are as good as new. Maybe not waterproof by definition but most probably waterproof in real life.